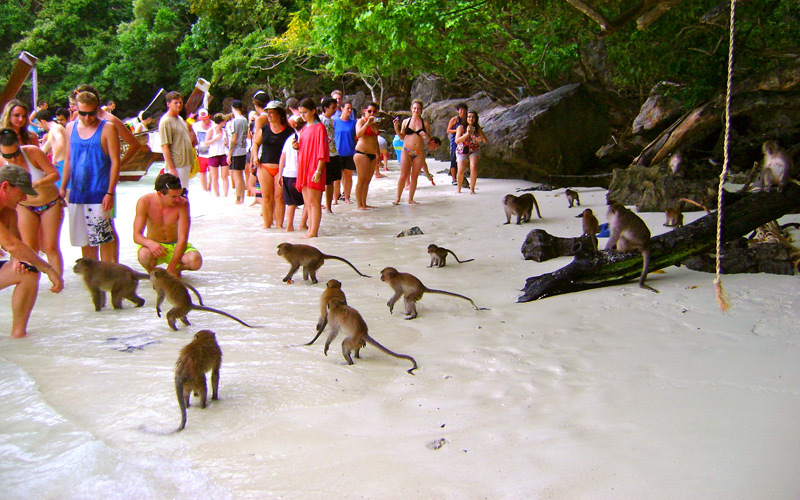 Phi Phi island : If you?re not try to go to PP Island (Phi Phi Island) It?s mean you?re never come to Krabi Thailand. Monkey Bay : Exploring deserted beach fascinating coral reef. Loh samah Bay : Colorful corals reef and fishes in shallow water. Pileh Bay : Awesome and fantastic lagoon. 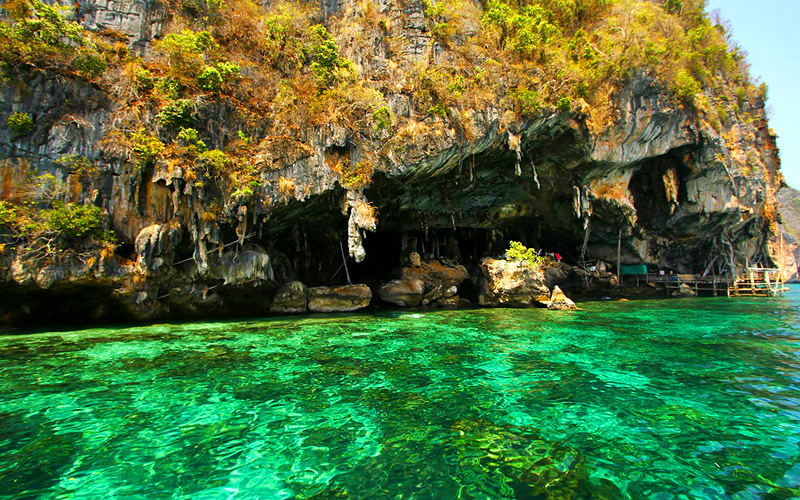 Viking Cave Phi Phi : Photography and sightseeing. Phi Phi Don : Enjoy lunch at beach restaurant and relax on this island. Hin Klang : Experience it yourself – the fantastic open sea. 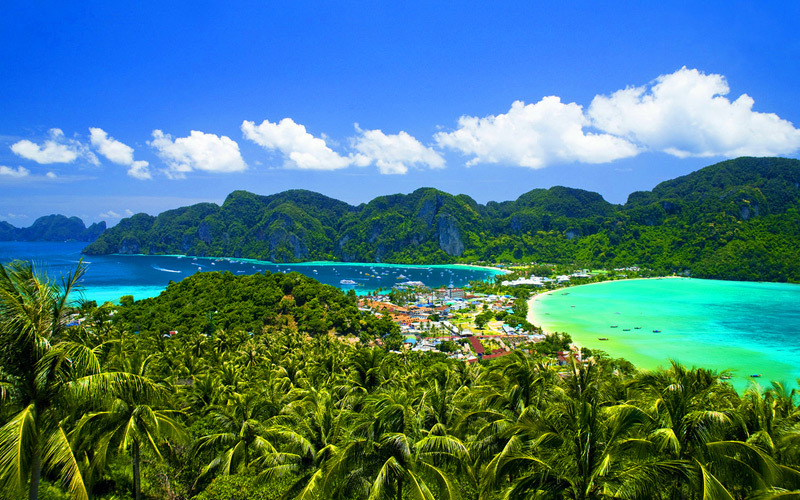 best point for snorkeling or diving at phi phi. Bamboo Island : Fabulous and gorgeous beach with coral reefs. – 8.00 am. Pick up you from hotels in Krabi, Klong muang beach, Ao nang beach. 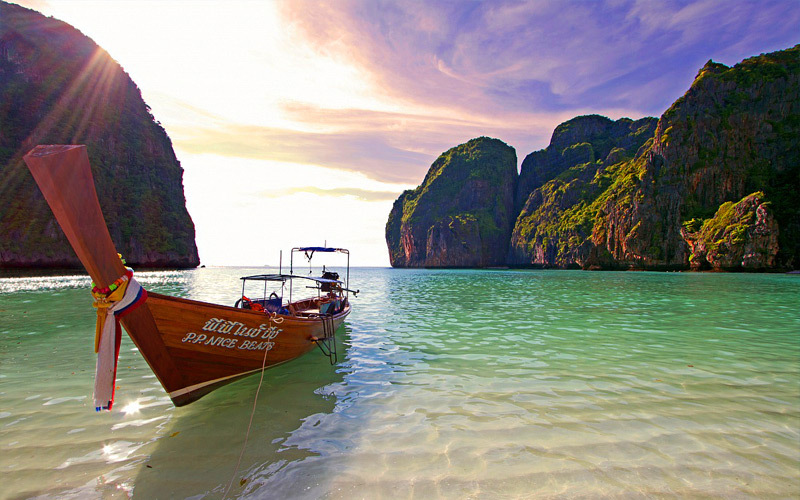 – Live from the pier by speedboat, direct to the best point of the Andaman Sea,”Maya Bay“. It is very beautiful, that is why by the year 2000 it was took the film named “The Beach” there. 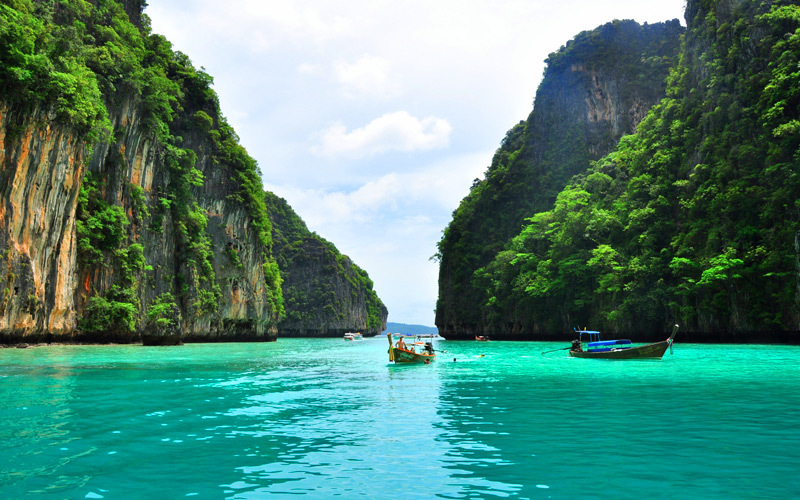 – Sigh seeing to : “Loh samah Bay“, behind of the Maya Bay. Snorkeling & swimming around the coral reef & various beautiful fishes. 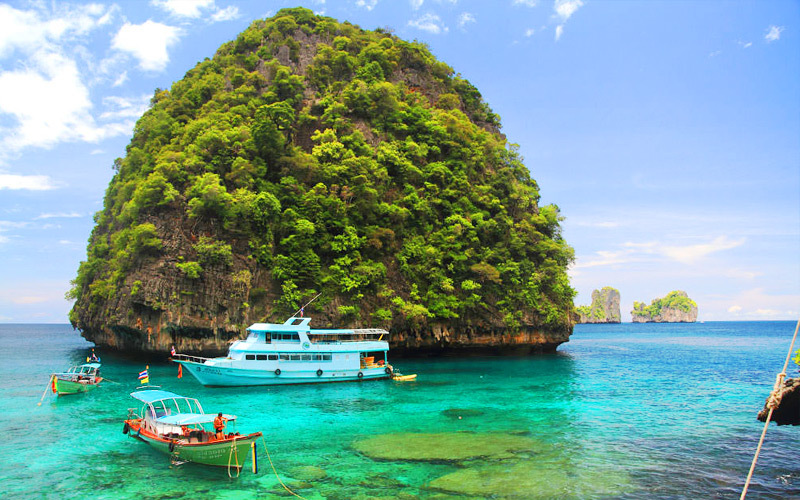 – Get into the “Pileh lagoon” one of the most beautiful lagoon of Phi Phi Ley island, The lagoon looks like a big swimming pool surrounded by limestone cliffs and the crystal clear sea water inside lagoon is very clean. – Having buffet lunch at beach restaurant on Phi Phi Don. 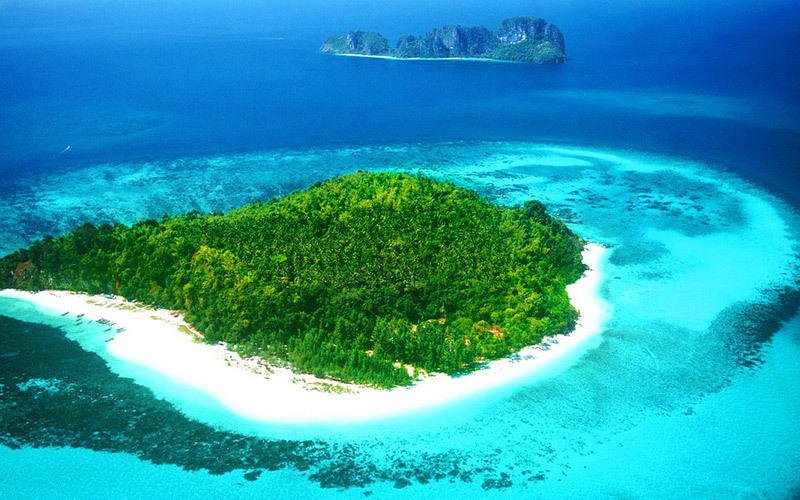 The amazing point of the Phi Phi Don Island, two beaches lay down parallel together and Free time relax after lunch. – After lunch continue to snorkeling at Hin Klang. 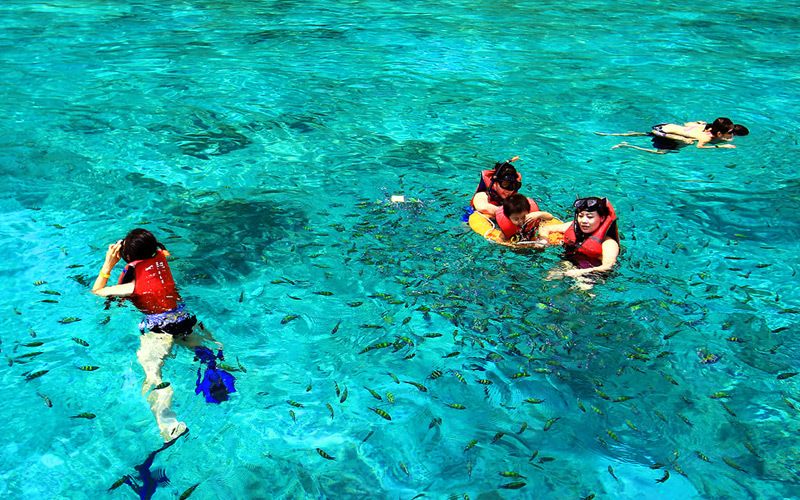 It is an open sea snorkeling along the colorful coral reef gardens and fish. – By the end we stop and spend the time for swimming, relaxing and sun bathing at Bamboo Island. – 4.00 pm. Go back to the pier and then transfer you back to your hotel. Child : 1,400 1,200 Baht/Person(under 12 years old). * New Low from New Government for Island Trip. Have to Pay National Park Entrance Fee to authorities when you reach there by yourself. – Sunscreen, Sunglasses, Camera, Hat, Towels, Swimming suit and some budget money.